Imagine an aircraft that combines a helicopter’s ability to takeoff and land from almost anywhere, with the speed and range of a fixed wing aircraft. That’s precisely what aviation enthusiasts have dreamed of building for well over 50 years. In fact, so many efforts have been made to get a vertical takeoff and landing (VTOL) aircraft off the ground that even advocates of the concept often refer to the “wheel of misfortune,” a diagram that depicts the dozens of mostly failed concepts. Many never got off the blackboard, and only three have ever been flown operationally by the military – the main customer for these vehicles. But now, the Pentagon’s Defense Advanced Research Projects Agency (Darpa) is taking another spin at the “wheel”. This week, the agency announced a new X-plane program, which will seek to build a prototype aircraft to demonstrate a better VTOL design. That means more than just brushing off old ideas: the agency is hoping for an entirely fresh approach. Indeed, the Pentagon agency is seeking what it calls the “elegant confluence” of different engineering designs and approaches to a VTOL aircraft. The traditional problem with VTOL aircraft has been the tremendous complexity involved in having to transition from horizontal flight to vertical flight. Many of the schemes, which combine rotors and wings, or involve tilting some component of the aircraft, make for technically elaborate designs that are often impractical to operate and fly. That Darpa would try to tackle the VTOL problem, even after so many failures, is not surprising. It has long been the tradition of the agency to tackle significant engineering challenges, such as robotics and hypersonics, multiple times until something works. Moreover, the appeal of a VTOL aircraft is simple: helicopters offer the unique ability to take-off and land without an airstrip, providing the military with access to places where fixed-wing aircraft can’t land, while fixed-wing aircraft offer greater speed and range. The question, now, however, is whether Darpa can come up with anything new. And on that point, not everyone is optimistic. Instead, Moore suggests that advances in electric propulsion and automation will ultimately lead to entirely new concepts. Mike Hirschberg, executive director of the American Helicopter Society International, is also optimistic. A new X-plane program, like the one Darpa has started, offers a real opportunity – and money - to tackle an age-old problem, says Hirschberg, who previously served as a consultant to Darpa for over a decade. Hirschberg, who tracks VTOL aircraft design, and updated the famous “wheel,” disagrees that it is in fact a “wheel of misfortune” (that nickname came about years after the original wheel was developed). It’s true that of the dozens of VTOL concepts, only three have been fielded, but that doesn’t mean the idea is futile, he says. One could use the same wheel to depict ideas for conventional takeoff and landing aircraft, and perhaps come to a similarly bleak picture. “I don’t know if it is as bleak, but it’s probably not that much better,” he says. 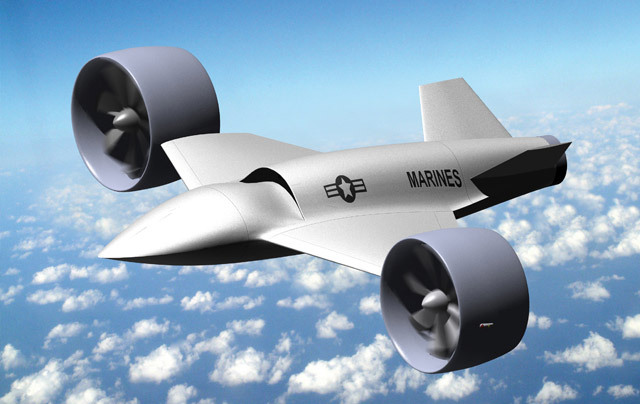 Darpa’s project, while high-risk, is not without a solid base: internal studies done by the agency demonstrate that a VTOL aircraft is feasible. That challenge is simply identifying a design that will make it work practically.